‘Artisan Series finale at iconic Versace Mansion. The moment Issa Rae call my name was an amazing feeling!… I was awarded second place. After more than 8.000 submissions from North America! 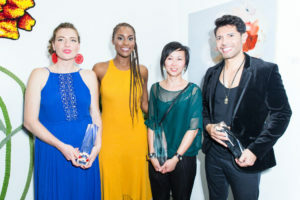 Congrats to all my fellow finalist artist, so honored to have meet you!’.